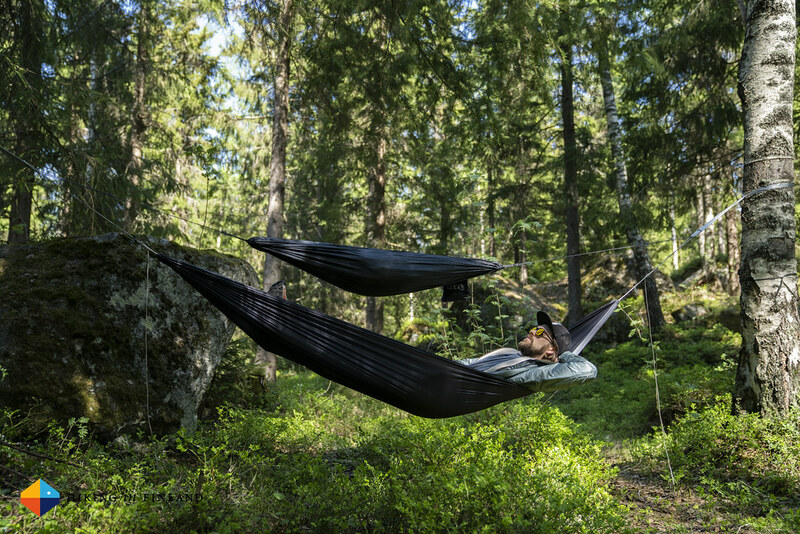 In Finland, Sweden and Norway we have plenty of 🌳🌲🌲🌳🌲🌲🌳🌳🌲🌲🌲, a logical conclusion is thus to carry a hammock when you want to relax in the forest! 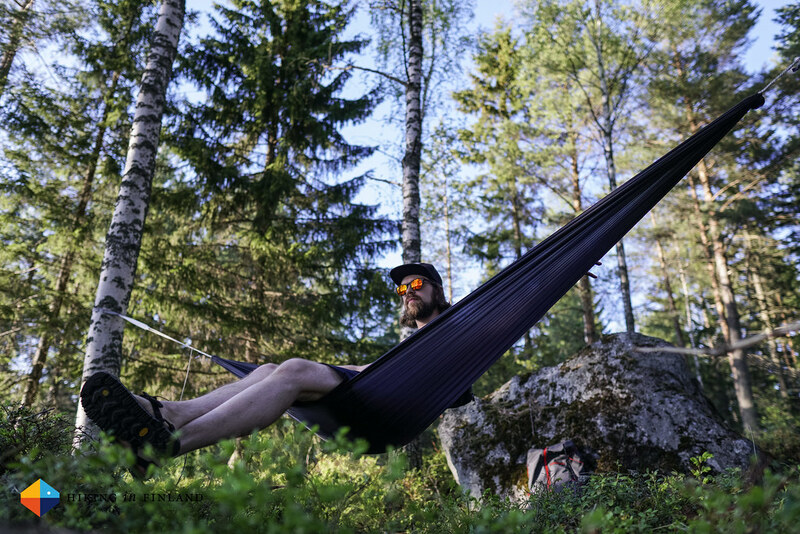 In the past hammocks have been bulky, heavy and difficult to set up - that is not the case if you carry the ultralight ENO Sub6 Hammock and the amazing ENO Helios Suspension System. They let you lay in your hammock in less than two minutes on your next backpacking trip or day hike - reason enough for me to check them out! Disclosure: This article has been supported financially and with gear from Eagle Nest Outfitters and Partioaitta. As you know: I’m keepin’ it real and tell you how it is - I maintain full editorial control of the content published on Hiking in Finland. Read the Transparency Disclaimer for more information on affiliate links & blogger transparency. I have tried several hammocks over the last years, but never really fell in love with them. Either they were too bulky, too uncomfortable or just too troublesome to set up. 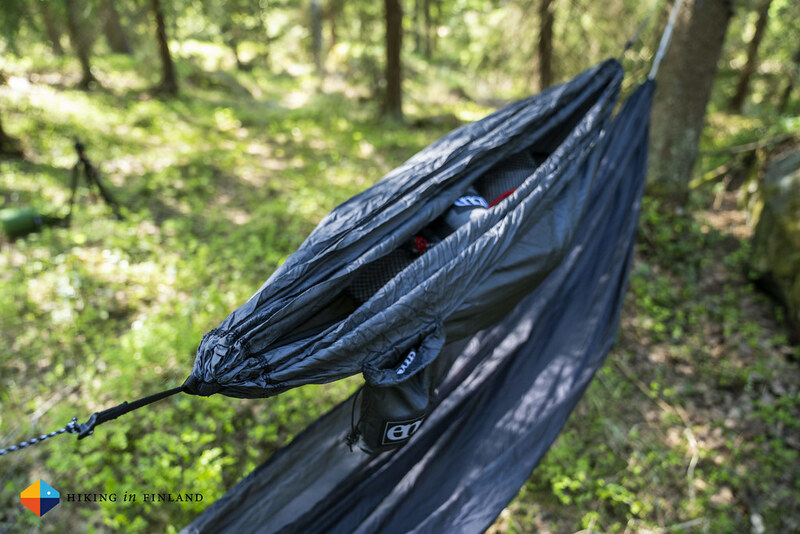 That changed as the Sub6 Hammock and the Helios Suspension System from Eagle Nest Outfitters arrived at Hiking in Finland HQ. At first I couldn’t believe how tiny and light the hammock and tree straps were, so I went out in the garden to see if they really work. Well, they do! I came back in, showed them to my wife (who loves hammocks!) and told her that I got a nice hammock in which she can relax the next time we go on a day hike or visit the beach. She too couldn’t believe how light and compact they were, but after another demonstration in the garden she was convinced! “So how light are they?” you might be wondering. Well, according to my scale the Sub6 Hammock is 163 g including the Stuff Sack, and the Helios Suspension System is 123 g total, that’s 5 g for the stuff sack and 58 g per strap. Together they are 286 g, which is pretty amazing in my books! Since then I had the hammock along on some bike rides and day hikes and was always again amazed at how light and how easy to set up this combo is. That alone means it’s almost a no-brainer to take these two along instead of a sit pad, as they are smaller than a 500 ml water bottle (in Fact they are so small that I sometimes need to rummage through my backpack to find them =). 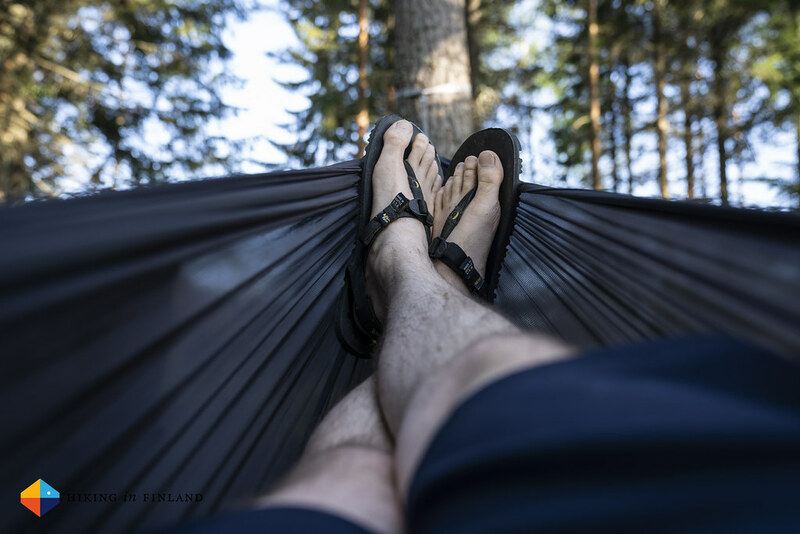 It now takes me less than two minutes to put up the hammock to the trees and lay down in it, and after some practicing I also have it down to operate the stove from the hammock and prepare the coffee while chilling! It adds a whole new layer of relaxation in nature to my hikes, and I have found myself napping in the shade of the trees while the wind plays with the leafs far above me. 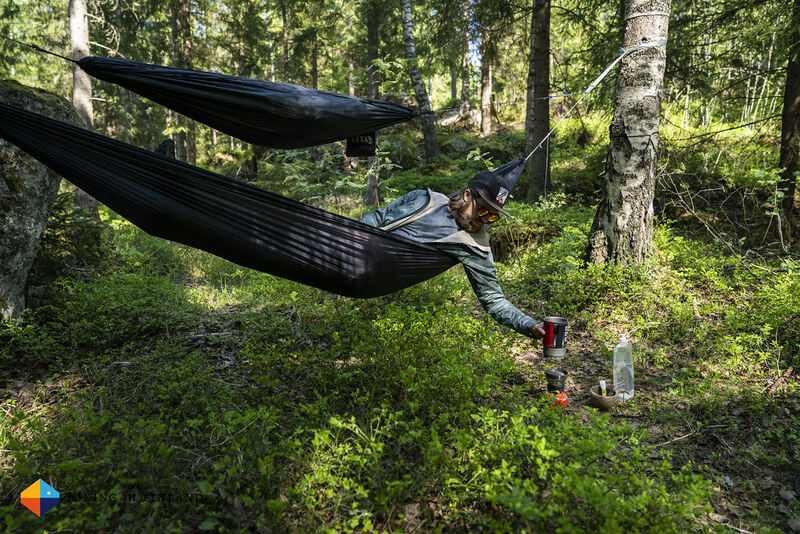 But that ain’t all: ENO makes everything you would need for hammocking, including an underquilt so you don’t get cold, the Underbelly Gear Sling which is a Mini-Hammock for your backpack & gear, a bug net to keep the Mosquitos out and a Tarp which keeps you dry. That means if you fall in love with hammocking after you’ve had the Sub6 along on some day hikes and feel like you want to sleep in it, you now can add the gear you need and are ready for sleeping elevated in the forest! I have a bunch of ENO hammocking gear here and plan to try hammock camping again this summer, and I have a feeling that I will like it much better this time around. 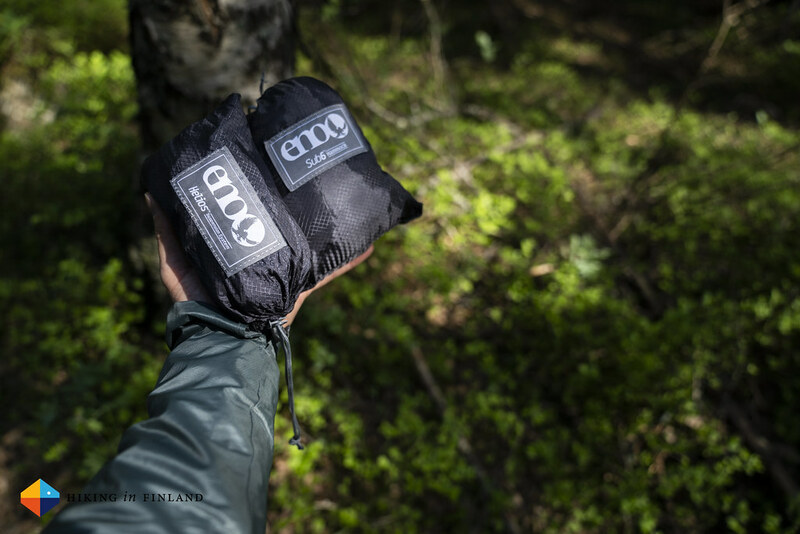 In conclusion it is safe to say that for day trips in the forest and afternoons at the beach we have a tiny & light addition to the backpack with the ENO Helios Suspension System and the Sub6 Hammock. They are easy to put up, so very comfortable to chill in and don’t need a lot of space in the backpack. And with all the 🌲🌲🌳🌲🌲🌲🌳🌲 we have here in Finland it’s about time we elevate ourselves from the ground! 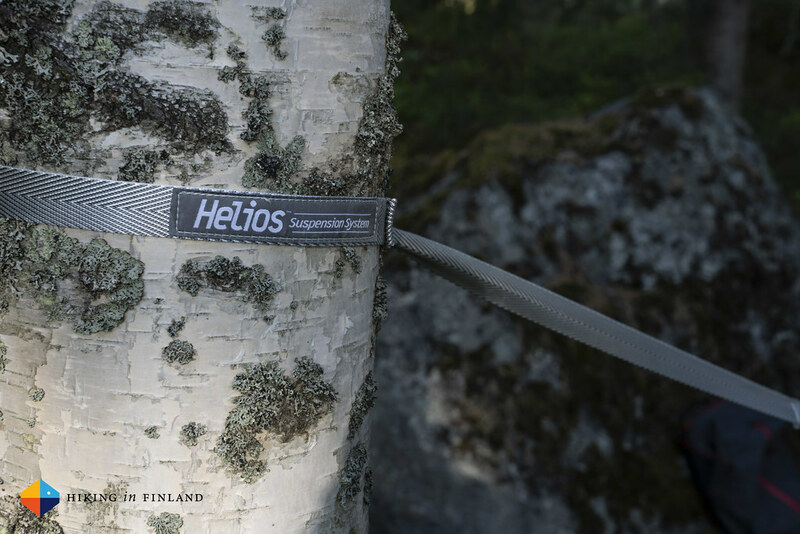 If you’d like to try the Sub6 Hammock and Helios Suspension System yourselves, head over to Partioaitta who carry the gear here in Finland! How much did you spent on your last piece of outdoor gear? And how much did you support your favourite blogs in the last months? 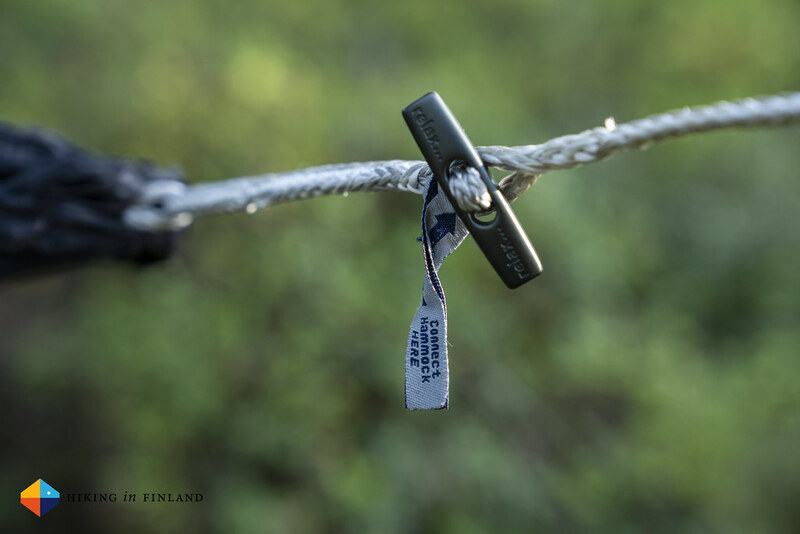 If you enjoyed this trip report & video buy me a coffee - I work Full-Time on Hiking in Finland to bring you inspiring trip reports, in-depth gear reviews and the latest news from the outdoors. You also could subscribe to the rarer-than-ever Newsletter and follow along on Instagram, Twitter and Youtube for more outdoorsy updates!